Far too many people have experienced the “Patient Access Paradox”: patients are told to wait weeks, if not months, to see a provider despite the fact that as many as 30-40% of appointment slots are actually empty or poorly utilized across the health system. As a result, many patients are paired with providers they have to wait too long to see, are not located conveniently, or don’t meet other important criteria (e.g, insurance, language). Worse yet, in a quarter of cases, patients are “misdirected” to the wrong type of provider for their clinical needs - leading to waste, care delays, and poor patient experiences. Similarly for health systems, these challenges cause operational inefficiencies, referral leakage, and misalignment between patient demand and network capacity. Kyruus was founded by a team of physicians and technologists who saw an opportunity to leverage data to help health systems match patients with providers more precisely and reduce barriers to access. The name "Kyruus" (\ki-rus\) is derived from the word "chiral" (\'ki-rel\), which describes an object or form (e.g., a hand) that cannot be superimposed on its own mirror image. We think of the hand(s) as those of providers - clinicians who leverage their skill and expertise to care for the patients they serve. At Kyruus, our mission is to put patients in the "hands" of the providers uniquely suited to care for them - matching patients and providers like a right and left hand coming together. Because the relationship between patient and provider can extend over a life-time, we added two letter "u's” to represent the "continuum” of healthcare delivery. Our solutions embody these commitments - helping match patients to the right provider and enabling health systems to coordinate care delivery across their provider networks. How do we do this? Solving the patient access paradox begins with accurate, reliable, and updated provider data, which we enable for health systems through our comprehensive provider data management platform, KyruusOne. KyruusOne allows health systems to consolidate, enrich, and maintain their provider data effectively, while gaining a single source of access to it. KyruusOne forms the foundation of the ProviderMatch suite of provider smart search and scheduling solutions for access centers, consumers, and referral networks, powering them with reliable, consistent provider data. The Smart Search capabilities within ProviderMatch enable users to identify, match, and book appointments with the providers best-suited to patients clinical needs, while also accounting for a wide variety of non-clinical criteria. The result? More satisfied patients, more fulfilled providers, and higher-performing health systems. 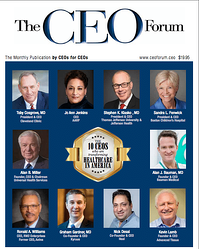 Learn why our CEO and Co-Founder, Graham Gardner, MD, was named one of the "10 CEOs who are Transforming Healthcare in America!" Learn more about why A Better Match Means Better Care.